for $245,000 with 3 bedrooms and 2 full baths. 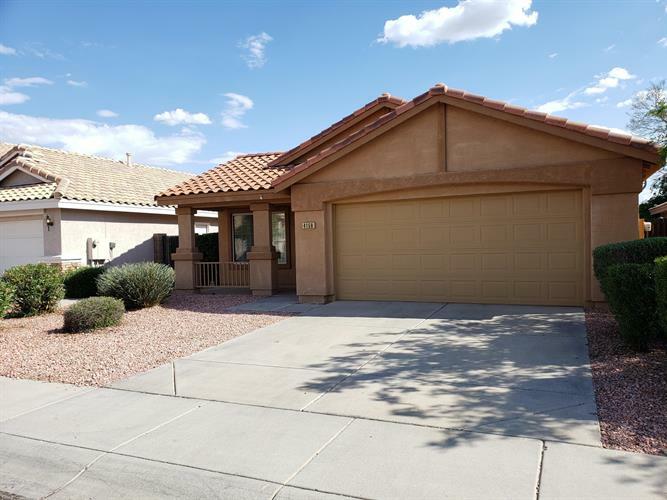 This 1,530 square foot home was built in 1997 on a lot size of 4961.00 Sqft. THIS 3 BEDROOM, 2 BATH HOME * GREAT CURB APPEAL WITH COVERED PATIO ENTRY * FORMAL DINING/LIVING * UPGRADED ISLAND-KITCHEN FEATURES GORGEOUS, THICK, GRANITE SLAB COUNTERS, STAINLESS STEEL APPLIANCES INCLUDING SIDE BY SIDE REFRIGERATOR AND LOADS OF CABINETS * EAT-IN AREA ADJACENT TO FAMILY ROOM * SPACIOUS MASTER BEDROOM FEATURES WALK-IN CLOSET, MASTER BATH WITH DOUBLE SINKS, SEPARATE TUB/SHOWER AND PRIVATE WATER CLOSET * TWO ADDITIONAL BEDROOMS AND BUILT-IN DESK AREA * NICE, PRIVATE BACKYARD WITH COVERED PATIO & VERY LOW-MAINTENANCE LANDSCAPE * UPDATED 18'' TILE * HURRY THIS WILL GO FAST.